The latest figures show Missouri revenues are down in some key categories. 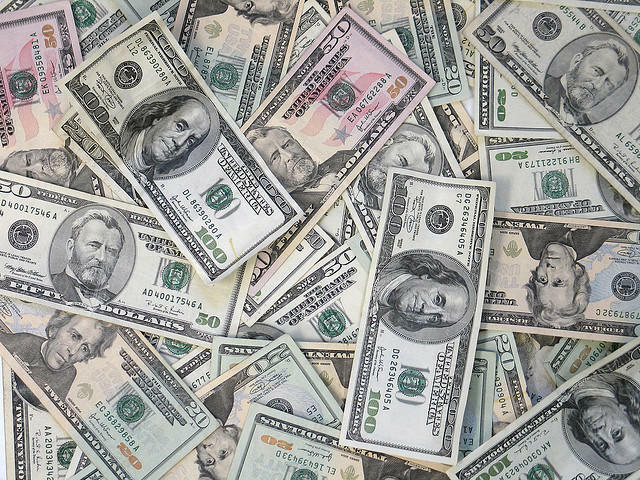 The state collected roughly $506.9 million last month, compared to $512.9 million in July 2014, a drop of 1.2 percent. State Budget Director Linda Luebbering says it's due in part to fraud prevention measures at the federal level. "There was this big issue at the federal level where people were claiming other people's refunds," Luebbering said, "so our Department of Revenue put into place a process to catch that on the front end, which basically slowed refunds down a little bit … refunds that normally would have gotten paid in June got paid in July, so it's a one-time issue." The main concern, though, is sales tax collections, which were nearly 2 percent lower; $150.9 million in July 2014, compared to $148.2 million last month. "We weren't expecting that because last year's sales tax number wasn't that good, either," Luebbering said. "It seems that people are still very hesitant to spend the money that they're earning." She continued: "When we continue to see growth in individual income, we know people are seeing growth in their wages (and) growth in jobs, but they're just not parting with their money, or if they are, they're not spending it on things that we collect a general revenue tax on … (it's) true nationally (that) people are still feeling very uncomfortable about the economy, generally, and they're just not willing to part with their money." Luebbering said that it's too soon to tell whether the drop in July revenues would make it necessary for Gov. Jay Nixon to withhold portions of the current state budget. It wasn't all bad news, though. Gross personal income tax collections were 5.1 percent higher last month than they were in July of last year, from $373.4 million to $392.3 million. "That's the number that we look at for what's going to drive our revenue number for the year as a whole," she said. "That number looked good." Corporate income and corporate franchise tax collections also looked good, as they rose 19.2 percent. The state took in $17.2 million in July 2014, compared to $20.6 million last month. If spending restrictions or budget cuts are needed this year, it won't happen during Luebbering's watch. Tuesday's revenue report was also her final one, as she's scheduled to step down Thursday afternoon. She announced her retirement from state government back in June. She says it's the governor and the legislature that make the hard decisions, and that her job is to provide accurate data. Still, she indicates that it's not an easy job during economically lean years. "It is always challenging when you have to look at reducing services that you know can provide positive benefits for Missourians, that's never fun, but there are times when that has to happen," Luebbering said. "I have worked with so many (state) departments and I know, kind of, the good things they do; but that aside, you know it has to be done because you only have so many resources." Luebbering's responsibilities also include helping state agencies manage their daily budgets, working with lawmakers when they estimate the fiscal impact of bills filed during legislative sessions, and using demographic information provided by the state demographer, who works in Luebbering's office, when calculating budgets. Dan Haug will take over as acting budget director when Luebbering retires Thursday. Up until now he has headed the Department of Mental Health's division of administrative services, and he's the former staff director of the Missouri Senate's appropriations committee. Luebbering, 53, says she has not decided what she'll do next, other than taking a family vacation. Missouri's financial picture looks much better today than it did a year ago at this time. The latest revenue figures show tax collections increased by 8.8 percent during Fiscal Year 2015, which ended Tuesday. With the state of Missouri’s budget challenges easing, state budget chief Linda Luebbering has decided that it’s time to retire. That announcement, made Wednesday by Gov. Jay Nixon, sent shock waves through the state Capitol, where Luebbering long has been known for her candor and accessibility. Missouri may not be rolling in the dough, but as the state’s fiscal year winds to a close, the state’s finances are in undeniably good shape. 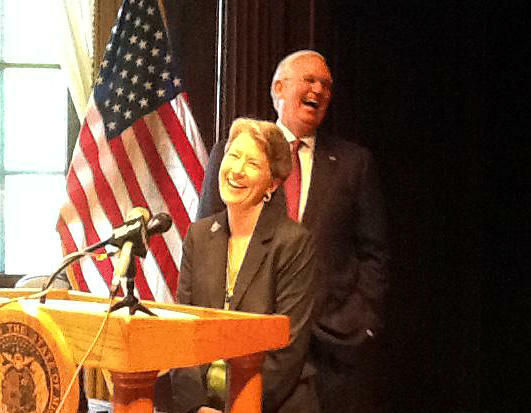 “Revenues are looking pretty good,’’ said Linda Luebbering, Missouri's budget director. That picture is in sharp contrast to the very public budget woes plaguing two of the state’s neighbors, Kansas and Illinois. Both states have been embroiled in battles for weeks over too little income to cover their basic spending needs.